The Red Death's secret origin? On Earth 52, Batman wants the speedforce and he’ll stop at nothing to get it. How he gets it is absolutely horrific, brutal and smart. 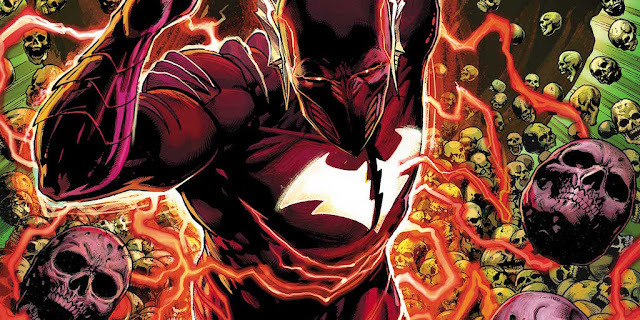 The creepy part of Batman getting the speedforce is that he actually ended up getting fused with The Flash. When Batman is narrating, Barry’s input to it is also detailed and I loved it. At first I had no idea who it was talking but the revelation was startling. The way the comic plays out as a horror story is brilliant. The evil Batmen are truly evil, dark and so metal that their story being horrific is brilliant. I hope that the tone of this continues into the other one-shots of the Dark Universe Batmen. Once Red Death comes to our Earth, all hell breaks loose. He came because his earth is dying since the Dark Universe was meant to die and wants a new world to live in. Batman Who Laughs helps him and it continues to show that this guy is the ring leader to bring these evil Batmen together to take over our universe all in service of Batbatos. People interacting with Red Death's evil speedforce bats slows them down and ages them rapidly. Just being close to them is powerful enough to do some heavy damage. Even Barry is effected by Red Death’s powers to the point where it immediately incapacitates him. 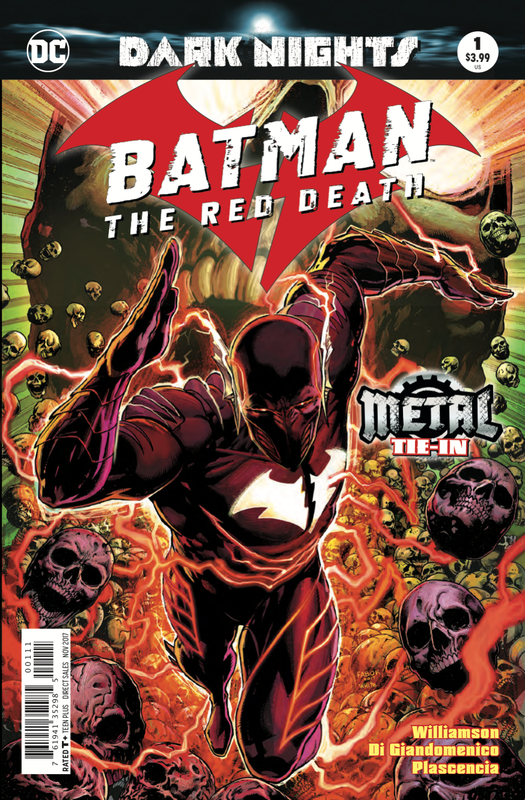 It’s so shocking how powerful Red Death is-- the brain of Bruce Wayne and the speed of Barry Allen. It’s a brilliant combination and possibly one of my favorite of the evil Batmen yet, aside from Who Laughs. The art is gorgeous as well-- I love Carmine Di Giandomenico’s art on The Flash and it’s great to see his art here too. 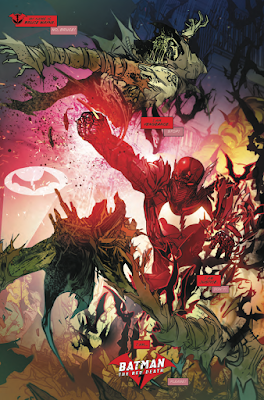 Batman: The Red Death #1 is horrifically beautiful. I love Red Death’s origin-- it’s so dark and brutal that it plays out like a horror story. It’s the epitome of being metal and I can’t wait for more of these special one-shots.